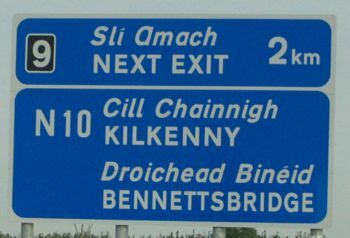 A call in at the Nicholas Mosse pottery shop and cafe, Bennettsbridge on the way back up to Dublin. 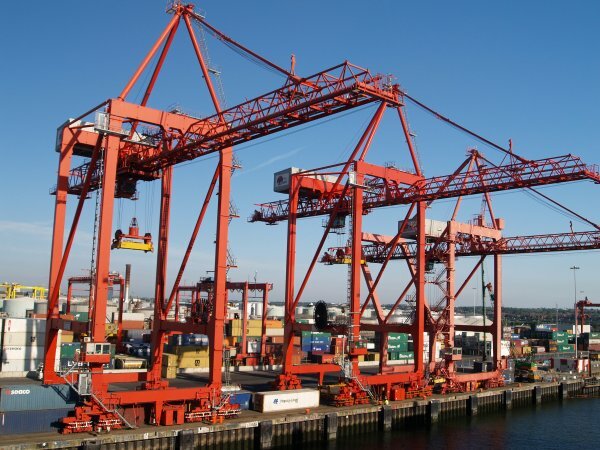 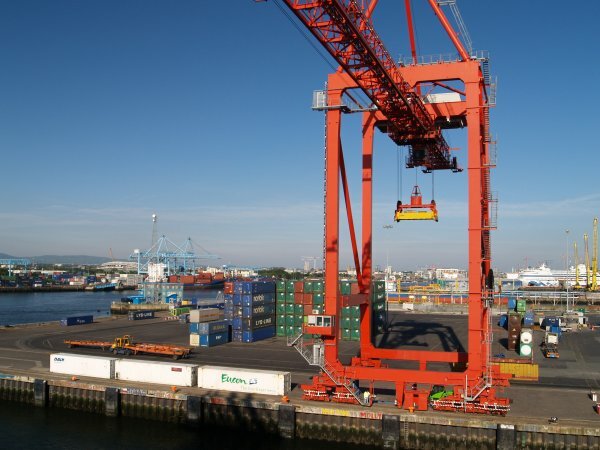 The giant container lifting cranes in Dublin Port. 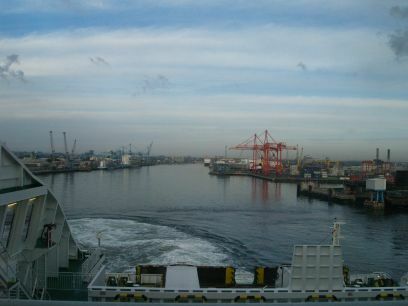 Looking west up the River Liffey towards Dublin City centre as we leave Ireland behind. 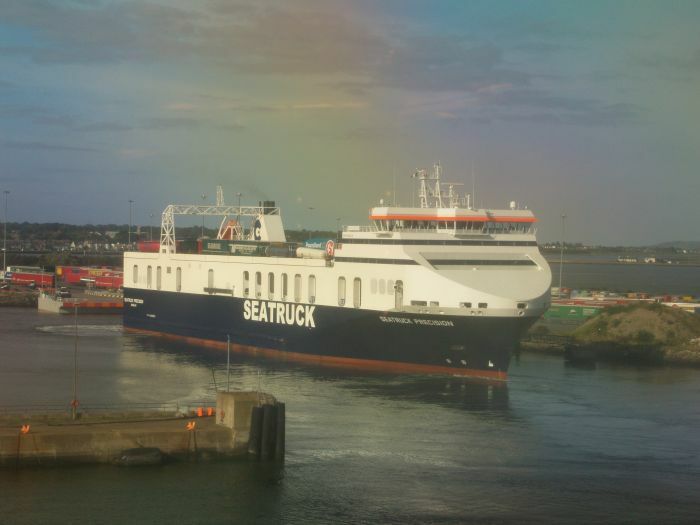 A small container freighter entering Dublin Port as we leave Dublin for Holyhead. 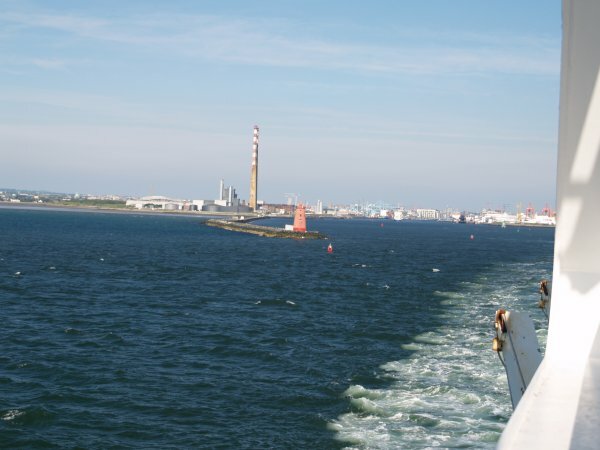 The Poolbeg Lighthouse at the end of The Great South Wall and the tall chimney of the power station. 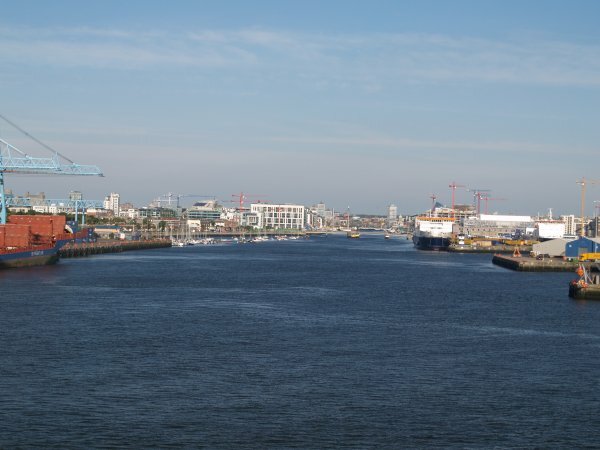 The south seawall helps prevent the River Liffey and Dublin Harbour from silting up. 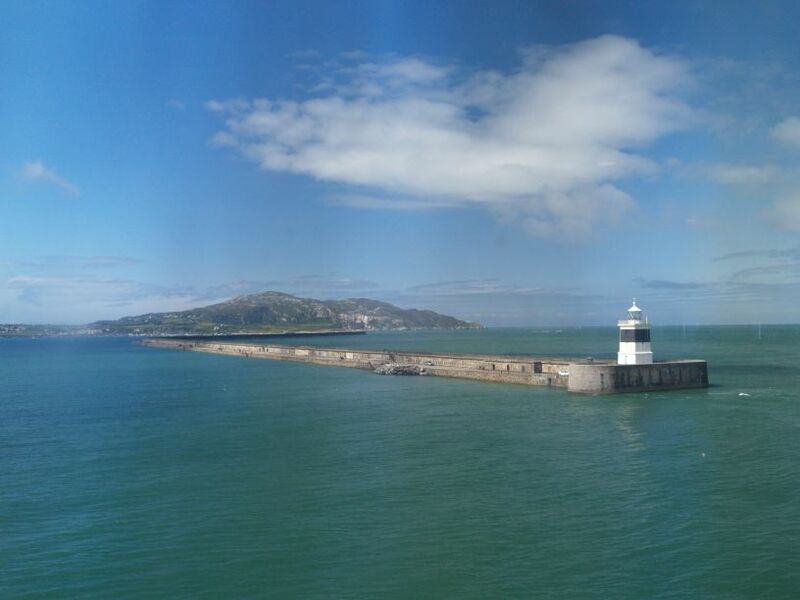 When the south wall was built it was the longest seawall in the world. 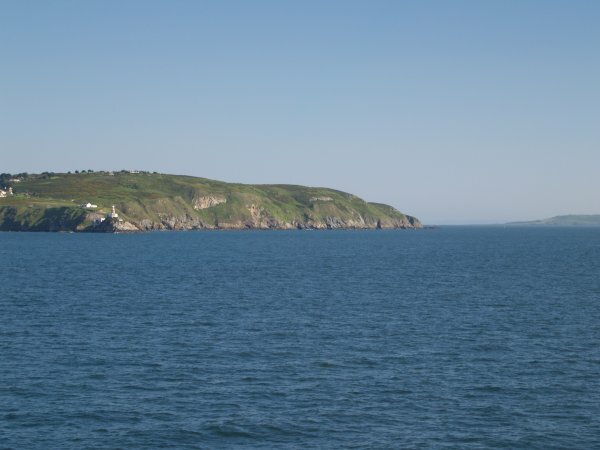 Passing the cliffs of Howth and the Bailey Lighthouse built ~1802. 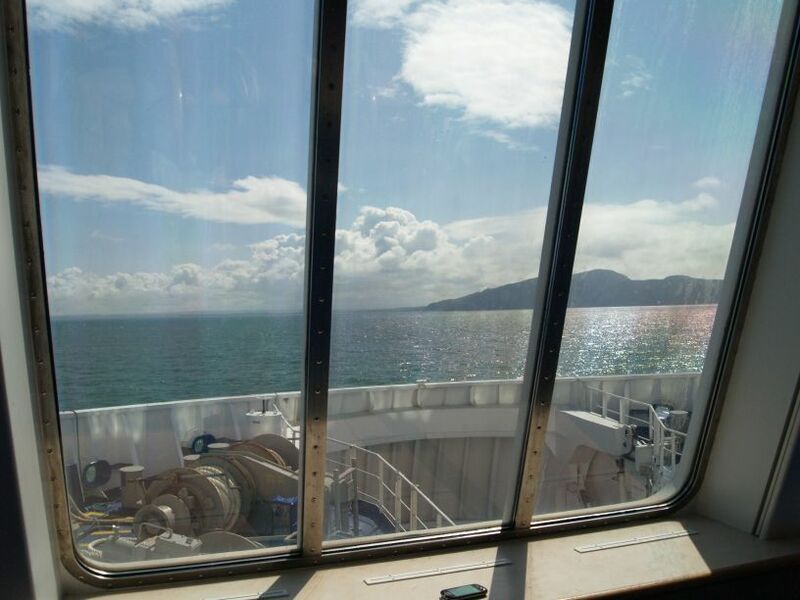 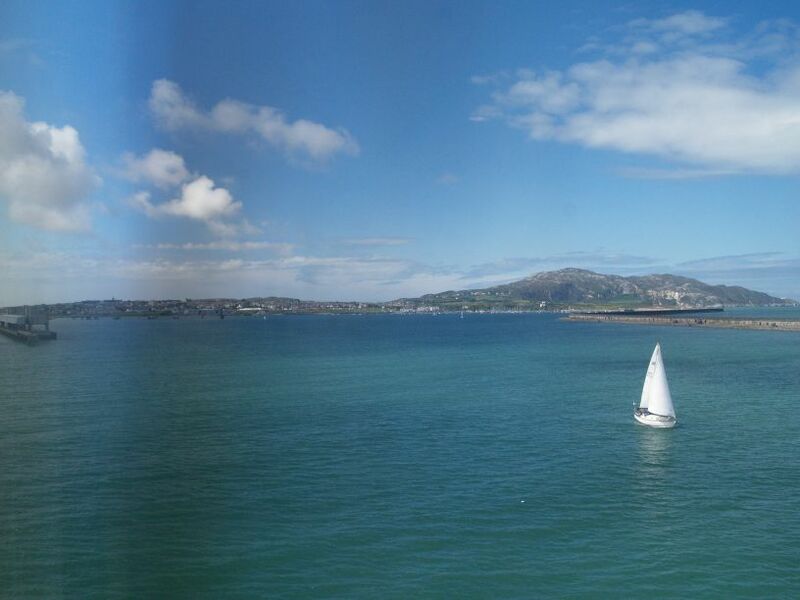 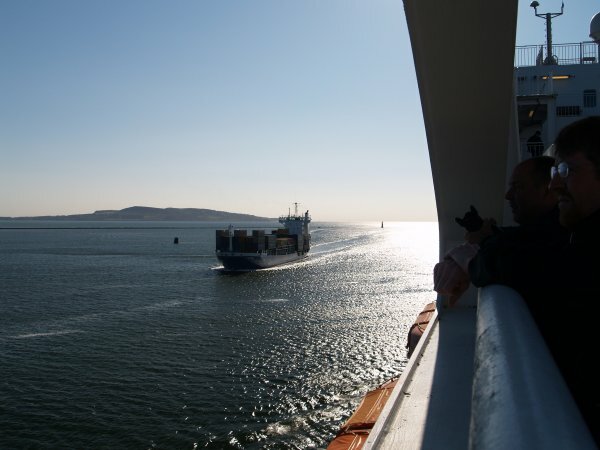 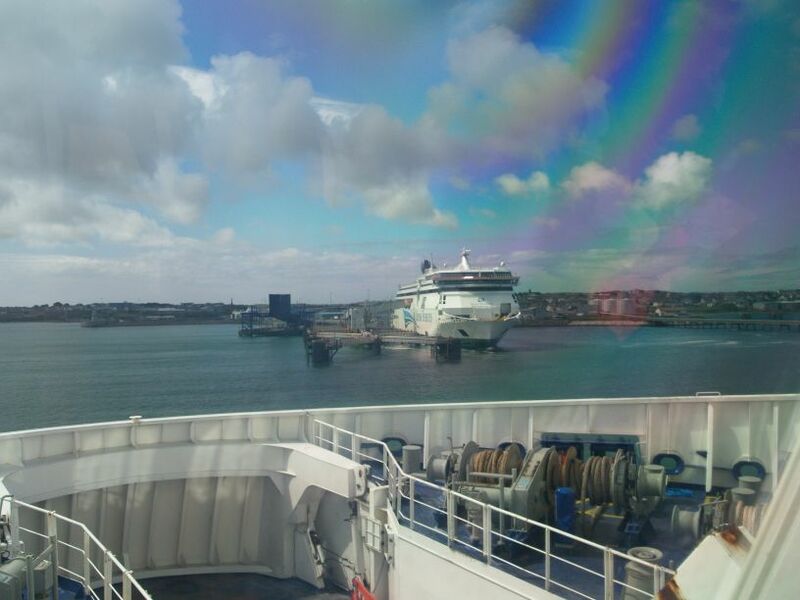 ... and in no time at all, Holyhead, on the Island of Anglesey Wales, come into view via these Irish ferries. 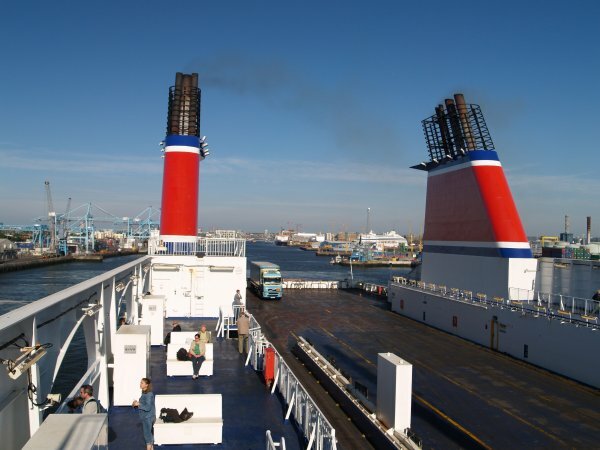 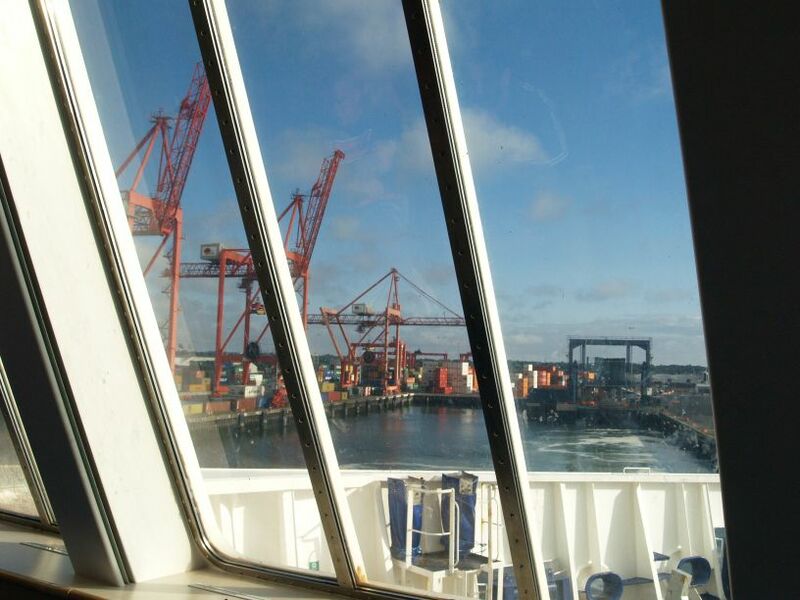 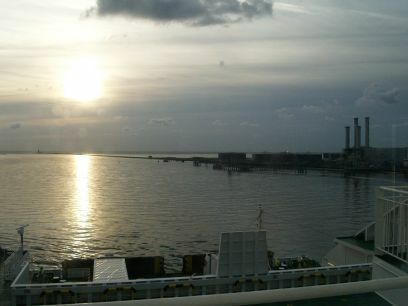 Approaching Dublin Port, passing another Stena Line ferry and beyond the Wicklow Mountains. 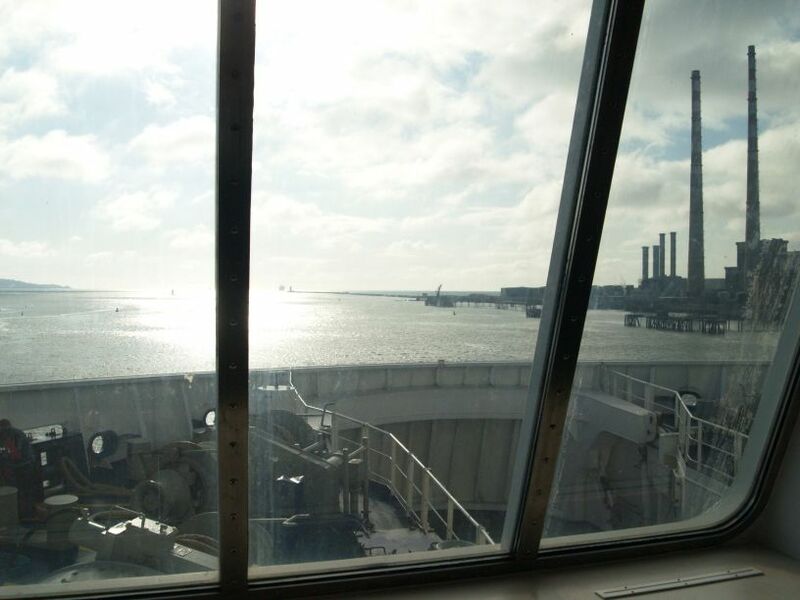 The tall chimneys of the old power station near Dublin Port. 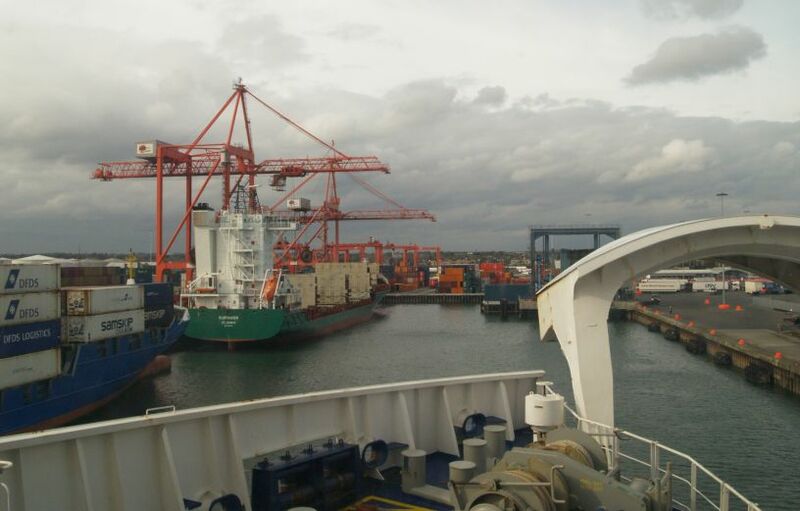 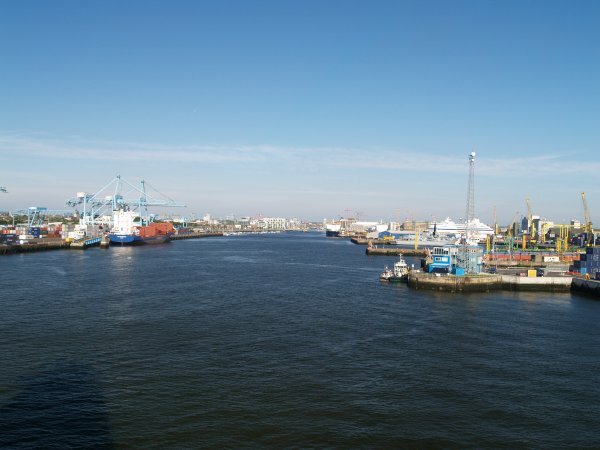 Dublin Port, container facilities and ferry port.